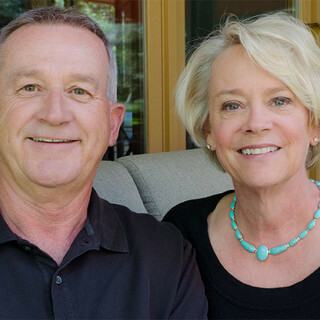 Bud Ingels, owner of High Point Homes, and Candace Ingels, owner of High Point Interiors, have been designing and building custom homes in Colorado Springs for over 30 years. They make a dynamic team that simplifies the process of building your dream home and allows for the most personal attention and best customer service around-one of many traits that set High Point Homes and Interiors apart. instrumental in the development of the Broadmoor Resort Community, building the Villas at Log Hollow, and actively involved in the pre-construction process for the Broadmoor Brownstones.Bud has also been awarded the prestigious MAME award. Both Bud and Candace work with their clients on every aspect of the design and when every detail is in place, Bud will draft a line-item budget so the buyer can see exactly what a project will cost, right down to the last light fixture. It's a full-service, custom approach to production and interior design in making a house your home from the beginning of the process to move-in day and beyond. Their superior industry knowledge allows the High Point team to better advise clients on creating a state-of-the-art dream home. It's clear that they love what they do. Bud and Candace are passionate about building. They live in the same neighborhoods where they work and they maintain ongoing relationships with their clients long after a project is finished. "The majority of our clients have become personal friends" they both say. And that, perhaps, is the greatest testament of all.